This past summer my mom gave me several more family history related items. 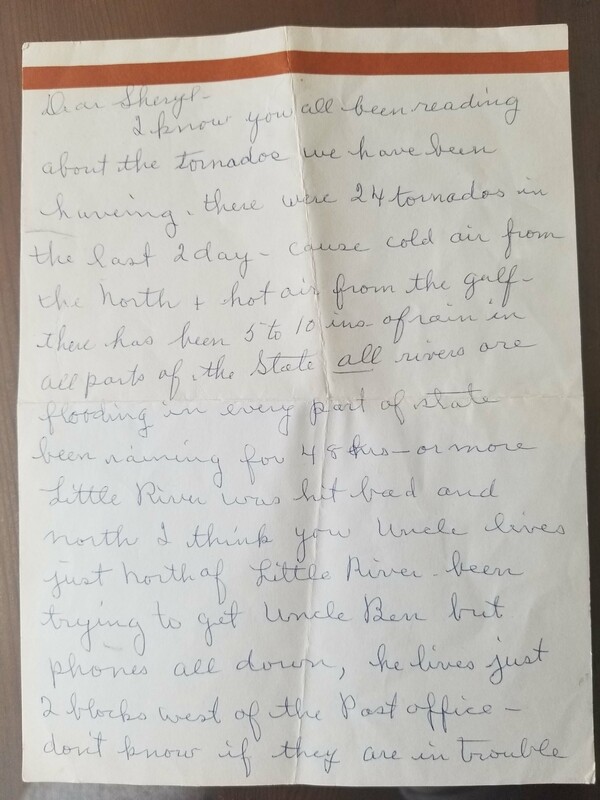 There is an undated letter addressed to my mom from her paternal Grandmother (Effie Bender Lawbaugh). The half sheet of paper is hand written on both sides of the paper. 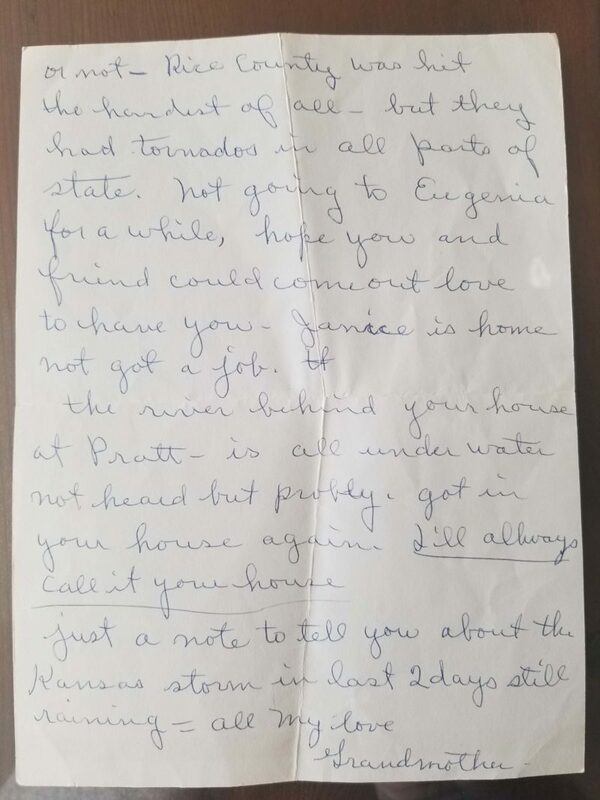 My best guess for dating the letter is the late 1960’s to the early 1970’s. There are several references to other family members is the letter. The first is to Uncle Ben (Effie’s brother). The second is a more vague reference to “your Uncle”. I believe this is one of my mom’s maternal uncles who lived just east of a town that is mentioned. The focus of the letter is the non stop rain/tornadoes in Kansas and the resulting flooding. It may have made national news with the way my mom’s Grandmother is talking about it. The towns that are mentioned are all in the middle of Kansas generally North and West of Wichita. Lakin Township is where my great-great-great-grandfather John Bender farmed in the late 1800’s. I know from his obituary that he arrived in Lakin Township in 1876. He and his wife Matilda brought with them 4 sons and a daughter. After arriving in the area they had 2 more boys and another girl. On my research trip to Kansas in October 2010, I had the chance to visit the Harvey County Historical Society in Newton, Kansas. 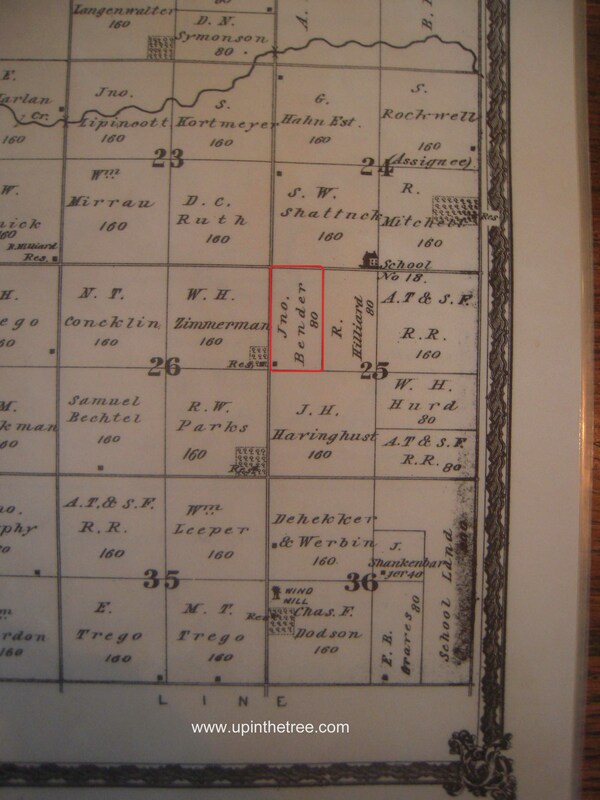 One of the many great finds that afternoon was the Harvey County Historical Plat Maps 1882. My ancestor John Bender was listed in the index. 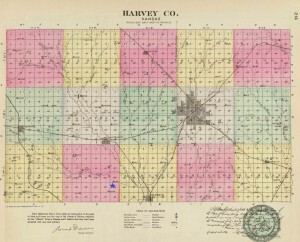 Here is an overview map Harvey County, Kansas. I have added a blue star to section 25 in Lakin Township. 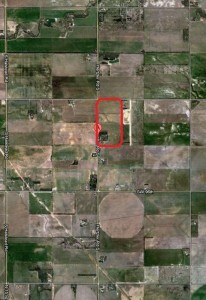 This is the area where John Bender resided as listed in the index. I then looked at the Plat Map for Lakin Township and looked in section 25. This was so exciting! I had located where the family lived in the county. Now my goal was to translate this plat map to a current map. First, I found a historical map of Harvey County at the David Rumsey Historical Map Collection. The map I found was perfect. It laid out the sections, towns, and railroad lines in the county. I added the image as an overlay to Google Earth. After lining up the historical image with all of the landmarks, I was able to identify where the 80 acres is today – 9169 Hertzler Road South, Sedgwick, Kansas. Here is the crazy part – My Mom and I drove right past this house!! We were heading north from the cemetery where the Benders are buried to the town of Halstead. This is the street we traveled to get there. We drove by without even knowing it! I have gone a step further and checked the Bureau of Land Management Records website. Sure enough, I have found a Timber Culture Patent for John Bender for 80 acres. I was not too sure what a Timber Culture Patent is so it was time to research that. 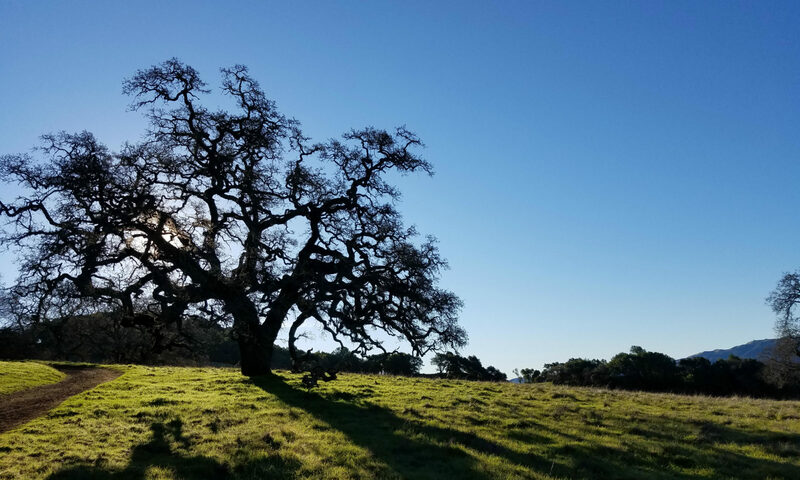 According to Wikipedia, it was a follow-up to the Homestead Act that allowed homesteaders to gain 160 acres of land as long as a quarter of the land was planted with trees. Here is a closeup of the property I have identified. 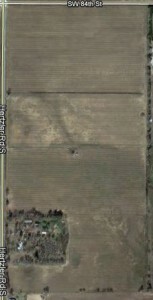 You notice that the area in the southwest corner is covered in trees. When using the street view on Google maps, you can see the house in the trees. 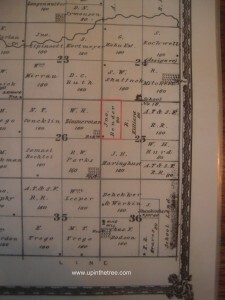 This is the same area marked with a house on the Plat Map from 1882. I believe that my 3rd great-grandfather planted those trees as part of his patent requirements. What an adventure! I cannot wait to do this same exercise for the land that Charles Bradley and his family lived on in the same county! William Henry Bender is my 3rd great grandfather. 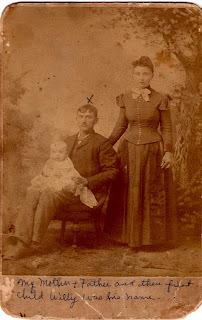 (William Lawbaugh > Effie Bender>William Henry Bender) He was the first child born to John Bender and Matilda Shireman on May 23, 1868. Records show he was born in Pennsylvania. 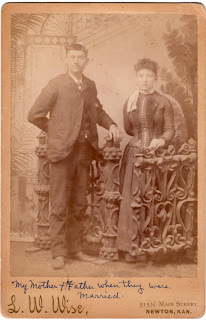 The family moved to Kansas in 1876 or 1877. They settled on land between the towns of Halstead and Sedgwick which are located about 25 miles northwest of Wichita. William had 5 younger brothers and 2 younger sisters. Tragedy struck the family when the youngest, Leroy, died in 1884 at 6 months old. There were more happy times as William married Mary Bradley on Thanksgiving Day in 1887 (November 24). Mary was from several miles down the road in the town of Halstead. On my trip to Kansas in October 2010, it was easy to imagine William riding a horse to town to see his girl. William and Mary quickly started their own family. Their first born, a son named William, arrived in 1888. I have not found any death records for William but he may have died in 1889 around the same time of his Aunt Ella. Ella was William’s youngest sister who passed away just a few weeks after her 8th birthday in April 1889. William and Mary lived in the Riverside Park area of Halstead. This is just north of the downtown area and across the river. We tried to find the home on our trip to Kansas but it was no longer there. There was evidence that a home had been on the property at one time. The 1900 U.S. census lists William working as a Teamster. William and his wife, Mary, had 6 more children. Benjamin was born in May 1890. Effie (my 2nd great grandmother) was born 30 December 1892. Walter was born 15 march 1896. An unknown child was born after Walter between 1896 and 1898. This child did not survive. Charles was born May 1899. Last was Matilda born in 1901. Matilda Shireman Bender is my g-g-g grandmother on my mother’s paternal side (William Lawbaugh> Effie Bender > William Bender > Matilda Shireman). The following articles were found on my trip to Kansas in October 2010. I got to spend a wonderful day at the Kansas Historical Society State Archives Library in Topeka, Kansas. We wish to express our sincere appreciation to the many friends and neighbors for the numerous and beautiful flowers and the kind deeds and words of sympathy extended during the illness of our beloved mother and grandmother. “Card of Thanks”, Halstead Independent, Halstead, Kansas, 3 March 1932, page 2, column 2: microfilm no. H1640, Kansas State Historical Society Archives, Topeka, Kansas. Well Known Pioneer Woman Passes Following a Long Illness. The last rites for Mrs. Matilda Bender who passed away at the home of her son, Irvin, south of town, on February 22, were held Thursday after noon at 2 o’clock from Pleasant Valley Church with Rev. D.H. Sills of Sedgwick, assisted by Rev. Moorehead of Wichita, and Rev. Bessie Koontz conducting the services. Music was furnished by the Pleasant Valley Church choir accompanied by Mrs. Virgil Wilson at the piano. The many beautiful floral offerings and the large attendance at the services gave evidence of the love and esteem in which Mrs. Bender was held. The body was laid to rest in the family lot in Pleasant Valley Cemetery and those who served as pallbearers were Robert Trego, Joe Neal, Charles Berger, Will Hoke, Jas. McIntire and Lou Biggs, neighbors of the deceased. Matilda Shireman Bender was born in Union county, Penn., December 21, 1847, and passed away at the home of her son on February 22, at the age of 84 years, 2 months, and 1 day. Her death was attributed to a fractured hip received October 19. She was united in marriage to John Bender, August 8, 1867. They lived in Allenwood, Pa., until 1878 and moved to the farm south of Halstead. For the past 54 years they lived within on half mile of the present home where they endured the hardships of pioneer days. To this union were born eight children, four of whom with her husband preceded her in death, Mr. Bender having passed away February 15, 1925. Those who survive are one daughter, Mrs. Nora Bastin, three sons, Irvin, Lewis, and Oliver and Walter, a grandson, whom she raised as her own. Mourning her besides her children are two brothers, John and Samuel Shireman and one sister, Mrs. Emma Vaneida, all of Pennsylvania; a nephew, Herbert King of Atlanta, Kans., who has been devoted to her during the weeks of her suffering; ten grandchildren and eleven great-grandchildren. Grandma Bender, as she was familiarly known, was a faithful member of the United Brethern Church at Pleasant Valley, always showing a keen interest in all the affairs of the church and Sunday school whenever possible until a failure of hearing and poor health kept her at home. She loved her church, her home and her community and was always ready to lend a helping hand, a cheery smile, and a word of comfort to the afflicted and unfortunate. Grandma Benders’s happiest moments were when she was surrounded by her family and friends. Her sunny disposition had endeared her to all who chanced to make her acquaintance, and while suffering intense pain during the last few weeks her faith in her Saviour was unwavering. She displayed great patience and fully appreciated the worth of true friends who helped to ease her and who were with her during the long days and night of suffering. “A heritage of Faith and love you left us all. Matilda Bender obituary, Halstead Independent, Halstead, Kansas, 3 March 1932, page 1, column 3: microfilm no. H1640, Kansas State Historical Society Archives, Topeka, Kansas. This is my first Surname Saturday post. 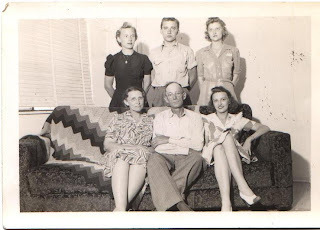 I have decided to start with Dean Lawbaugh’s family because I have a wonderful photo of the family. Dean Russell Lawbaugh is my great grandfather on my mother’s paternal side. 1. Dean Russell Lawbaugh was born 15 December 1888 in Wellington, Kansas to William Henry Lawbaugh and Clementine L Hudson. He died 30 May, 1950 in Los Angeles, California. He is buried in Wellington, Kansas. Dean married Effie Bender on 12 May 1912. 2. Effie Mae Bender was born 30 December 1892 in Halstead, Kansas to William Henry Bender and Mary Eugenia Bradley. She died 15 march 1974 in Fort Smith, Arkansas. She is buried in Wellington, Kansas. i. Eugenia Beryl Lawbaugh was born 23 February 1913 in Wellington, Kansas. She died 11 July 1995 in McMinnville, Oregon. ii. Clemedean Lawbaugh was born 7 January 1917 in Wellington, Kansas. She died 23 June 1996 in McMinnville, Oregon. iii. Edna Mae Lawbaugh was born 11 May 1921 in Wellington, Kansas. She died 28 August 2001 in Topeka, Kansas. iv. William Henry Lawbaugh was born 12 September 1923 in Wellington, Kansas. He died 14 October 1965 in Lake Isabella, California. John Bender is my third great grandfather on my mother’s side. Another Pioneer in the Person of John Bender Has Been Taken. 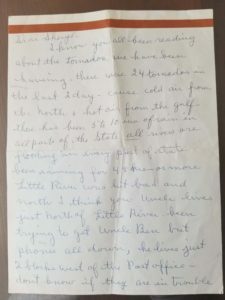 John Bender, one of the old settlers in Lakin township, where he had lived since 1876, or for the past forty-nine years, has answered the final summons, he having been found dead in bed by members of the family about seven o’clock Sunday morning. The end had come peacefully, as he was lying in a natural position and it was thought he was asleep as the son tried to awaken him at the usual hour. While he had not been in good health for many years, being a sufferer with stomach trouble and its attendant ailments, it was only a month ago that he had a severe attach of neuralgia of the heart and it was another spell that kind which took him away, according to the decision of the attending physician. He had been up and about the house the day before and after eating a hearty supper retired at the usual hour with no indication that the early morning would record the time of his death. It is thought he must have passed away about four o’clock from the condition of his body when he was found. John Bender was born in Lyconing County, Pa., Feb. 28, 1845 and died at his home Feb 15, 1925, at the age 79 years, 11 months and 14 days. He was married to Miss Matilda Sherman[sic] on August 8, 1867. To this union 8 children were born, four of whom preceded the father to the other Land. Those surviving are Mrs. Nora Bastin, Irvan [sic] and Lewis Bender, who lived at home and Oliver Bender, of Sedgwick. He is survived also by the widow, one sister, Mrs. Maggie Garnhart, of Williamsport, Pa., eight grand-children and six great grand-children. At an early age he united with the Lutheran Church and upon his coming to this vicinity in Feb. 1878 he united with the United Brethren Church at Pleasant Valley and where he had been a regular attendant all of those years when health would permit. Upon coming to Harvey county he located on a farm five miles south of town and had continuously lived within on half mile of the original home for forty-seven years. He was one of the oldest and most highly respected residents of Lakin township and his taking away from the scene of an active career is deeply mourned by all who came in close contact with him during that period. The funeral was held Tuesday afternoon from Pleasant Valley Church and was largely attended by old friends and neighbors. The service was conducted by the Pastor, Rev. Sill who paid a fine tribute to his memory. Burial was made in Pleasant Valley Cemetery, where so many of his old friends are taking their last long sleep. The close relatives have the sympathy of their many friends over the grief which has entered into their lives. John Bender Obituary, Halstead Independent, Halstead, Harvey County, Kansas, Volume XLV, No. 8, 19 February 1925, page 1, column 6. Mystery Monday – Who was Mary Bradley’s mother? Mary Bradley is my second great grandmother on my mother’s paternal side (William Lawbaugh ->Effie Bender->Mary Bradley). Mary Eugenia Bradley was born 18 December 1867 in LaSalle county, Illinois. Her parents are listed on her death certificate as Charles Bradley and Kate Bradley. The informant listed on the death certificate was her daughter, Matilda ‘Tilly’ (Bender) Case. Both my mother and one of her cousins remember their ‘Grandma Bender’ (Effie May Bender), Mary’s older daughter & Tilly’s older sister, telling the story about how her mother, Mary Bradley, was born illegitimately to a Jewish woman and forced onto her father’s new bride to raise. They both also remember a story that Grandma Bender remembers a visit to Mary by the supposed biological mother. Birth Records were not kept in the state of Illinois until 1916. LaSalle County, Illinois starting keeping birth records in 1877 but have no earlier records. 1900 Federal Census – living with husband, William Bender. Kate is living in Chicago with her 3 sons. She indicates that she has had 5 children and only 3 are living. 1910 Federal Census – Mary is living in Kansas with her second husband. Kate is living with her oldest son and his family in Chicago. She indicates that she has had 3 children and 3 are living. 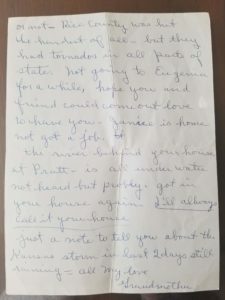 It is very interesting that after moving to Chicago, Kate (Cary) Bradley has indicated only 3 children are living when Mary is clearly alive in Kansas. Mary Bradley’s marriage certificate to William Bender dated 17 December 1877 does not mention Mary’s parents. There is a certificate signed by John Bender (William’s father) attesting to both Mary and William being of age (18 and 19 respectively). The marriage certificate for John Bradley and Catherine Cary is definitely more interesting. They applied for a marriage license in LaSalle County, Illinois on November 18, 1867. The copy of the license I received states that license # 1243 was ‘not returned, missing’. I have also received a copy of the St. Columba Church marriage records (Ottawa, LaSalle, Illinois) for Charles and Kate. The church records indicate that Charles and Catherine were married November 18, 1867. The marriage was witnessed by William Edding and Mary Noonan. The marriage date for Charles and Catherine is only 31 days before Mary was born. I find it very unlikely that a woman in 1867 would wait until she is 8 months pregnant before marrying the father of her child. Considering the year, I would expect a woman to have gotten married as soon as possible to hide the fact she was pregnant before marriage. I have not reached any conclusions about who Mary Bradley’s mother is. I do find the evidence in favor of Kate Bradley being Mary’s mother on the thin side. The only person who has stated that fact was Mary’s daughter. She was obviously did not have first hand knowledge of the birth since she was not there. There is also no proof yet that another woman is Mary Bradley’s mother. The only clue I have to the mystery Jewish woman is that her last name might have been Udell. This name was given to my mother’s cousin by Grandma Bender in a conversation. I am following up on another research idea right now. I have sent an inquiry to the Catholic Church, St. Columba, in Ottawa, Illinois to see if they have any birth or baptismal records for Mary Bradley. This is the church that Charles and Kate got married at just a month before Mary’s birth. I will keep you updated when I receive a response. The Pleasant Valley Cemetery in Sedgwick, Kansas has many Bender’s buried there. The family patriarch, John, his wife, Matilda, and three of their children are buried around a tree in the middle of the cemetery. Many members of the immediate family and extended family are buried just to the east of the tree (behind the tree in the photo below). This post includes the tombstones that surround the tree and their inscriptions. Two large gravestones in the front and two flat stones in the rear. John Bender, 1845-1925; Matilda, his wife, 1847-1932. Leroy, son of J & M Bender, died April 1, 1884; the rest of the tombstone was too degraded to read. Ella F., daughter of J & M Bender, died Apr 21, 1889, aged 8 yrs 23d’s, she’s waiting for us in the glorious eden land which lies beyone the sunset of life. W H Bender, born May 23, 1868, died Oct 4, 1902, Dearest father thou hast left us and our loss we deeply feel. But tis god that has bereft us he can all our sorrows heal.